On January 29, 2019 the SMB meeting focussed on Start Up Funding. Two interesting programs for entrepreneurs who want to grow their company (De Groeiversneller) and develop their entrepreneurial skills (De Startversneller) were presented. 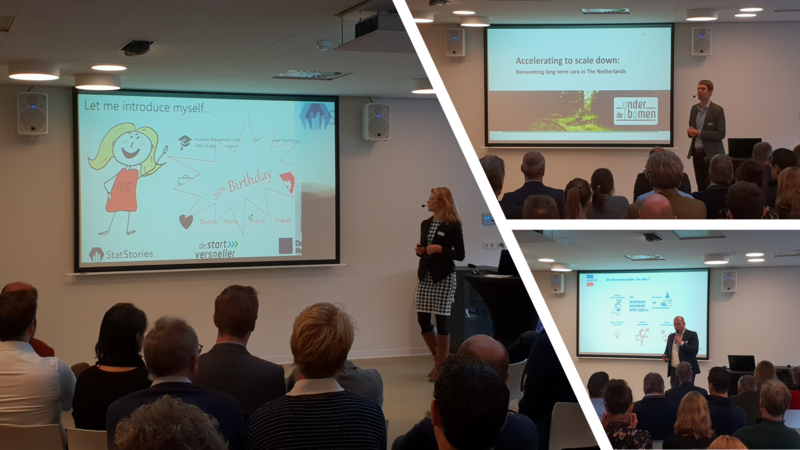 In addition, Lonneke Opsteegh from Stat Stories and Floris Heukelom from Onder de Bomen informed us on their start-up company and their experiences with above-mentioned funding methods. Please click on this link to find all 4 presentations. We concluded the event with a “New Year Drink: Entrepreneurs of Nijmegen” that was co-organized with Briskr, Novio Tech Campus, Start Up Nijmegen, Start Up Mix Students, Mercator Launch, RVN@ and Rebelspaces. The next SMB meeting will be on February 28, 2019. Feel free to join this inspiring session! The invite will follow soon!